Releasing the 26th best-selling US album of all time as your debut buys you the right to do whatever you want for the rest of your career — although Norah Jones’ early association with dinner-party jazz may have deterred some from paying attention. More fool them: her smouldering 2012 album ‘Little Broken Hearts’ is a fantastic heartbreak record (produced by Danger Mouse) and even ‘Day Breaks’ (2016), a return to the soft seductions of 2002’s ‘Come Away With Me’, works its magic. 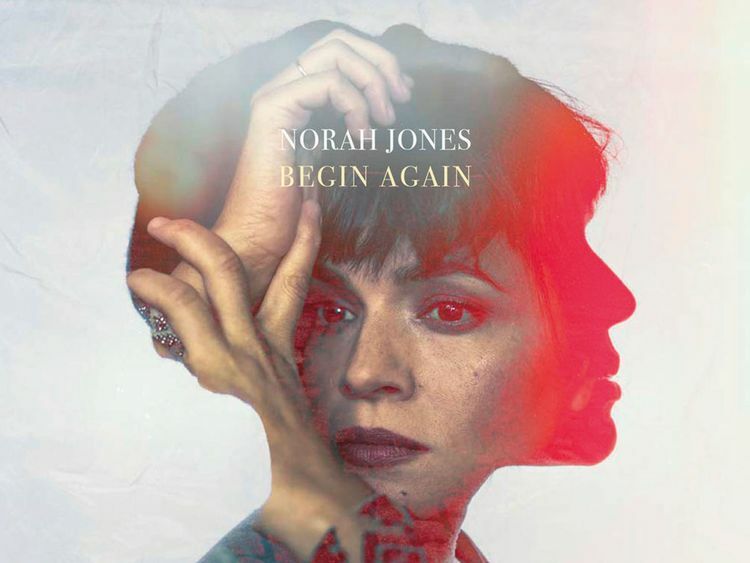 ‘Begin Again’ isn’t so much an album as a collection of one-off singles that Jones has released over the past year, born from impromptu collaborations with artists including Wilco’s Jeff Tweedy and St Vincent collaborator Thomas Bartlett. Whether they lean closer towards her old traditionalist ways or evince greater ambition, each of these seven songs betrays that sense of ease: the recording close, the playing soft, her voice’s chalky edge and warm-blooded intimacy drawing you in. Hers is the kind of voice that can breathe life back into tired phrases: “And I knew, and I knew it was you,” she repeats in ‘It Was You’, making the sentiment as lush and enveloping as the organ chirrups and intuitive brass playing that surrounds it. ‘It Was You’ sits at the warmer end of the album, alongside Wintertime, where Jones’s tender, chirpy piano playing contrasts lyrics about relying on someone too much. Her tone is apologetic, but not embarrassed, conveying her confidence that the relationship in question can shoulder the burden and offering an infectious sense of comfort. Other songs make a virtue of uncertainty: the title track stark and snappy, Uh Oh playing boldly with structure as it unfurls. Ominous, shaky violins give way to a trippy beat; a rolling electric guitar motif threatens to overpower her panic — “what’s the point of looking for problems when solving them only sends me into space?” — but then pulls back, giving her centre stage again, which she commands with ease. This off-the-cuff approach suits her, and the array of styles on ‘Begin Again’ should give detractors a sense of what they’ve been missing.